Xiaomi Redmi Note 3, the best mid-range smartphone under Rs 15,000 all set to rock and rule the smartphone market this Dec. as Xiaomi Redmi Note 3 listed on TENNA with specifications and images. Xiaomi also confirmed to launch the successor of Xiaomi Redmi Note 2 as Xiaomi Redmi Note 3 by This Nov. 2015. you 899 Yuan( $155/Approx. Rs 9,999 in India) for (2GB RAM+16GB ROM) and 1099 Yuan( $172/approx. Rs 10,999 in India). According to TENAA listing, The all new Xiaomi Redmi Note 3 comes with a full metallic body support cheaper Finger print ID, Dual-SIM(GSM+WCDMA), 4GLTE, NFC, Wi-fI, Bluetooth come with a bigger 5.5-inch Full HD 2D glass display with resolution (1080×1920 pixels and gorilla glass 3 protection and full GFF lamination offers you crystal clear wide-angle view from every angle perfect for watching movies, playing games, reading e-books. Xiaomi Redmi Note 3 will be powered by a powerful Octa-core, MT6795 Helio X10 chip processor with 2GB/3GB RAM, 16GB/32GB ROM and 64GB MicroSD card slot offers you superior graphics and gaming experience, boosting 3D interfaces, colors and textures and run on Android 5.1 Lollipop OS along with MIUI 7.0 on top which allows you to enjoy millions of apps from Google play store. 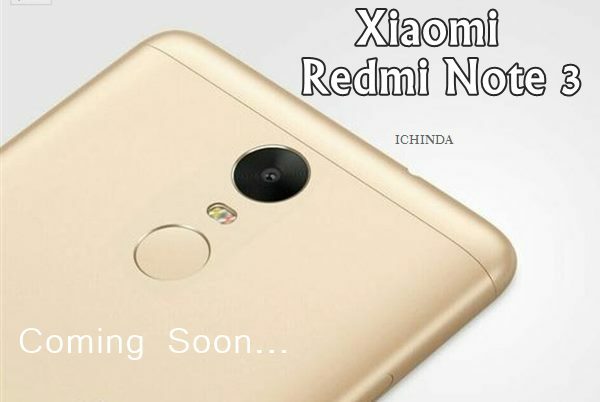 Xiaomi Redmi Note 3 will sport a powerful 13-MP rear camera with f/2.2 aperture and dual-LED flash and Sony CMOS sensors(Sony IMX214 with zero shutter lag) perfect for low light shooting and 5-MP rear camera for video calling and selfies will powered by a powerful 40,00mAh battery with sophisticated power management technology offers you the longest battery life ever will be 8.75mm thick and weight 165gm. While it’s predecessor Xiaomi Redmi Note 2 Prime is available in China at CNY 999, Xiaomi Redmi Note 2 at CNY 899 (approx. Rs. 9,000) for 4G and CNY 799 (Approx. Rs.8,000) for 3G Variant. Xiaomi Redmi Note 2 and Xiaomi Redmi Note 2 Prime yet to be launch in India. The all new Xiaomi Redmi Note 2 and Redmi Note Prime support Dual-SIM(GSM+WCDMA), 4GLTE, NFC, Wi-fI, Bluetooth come with a bigger 5.5-inch Full HD 2D glass display with resolution(1080×1920 Pixel) and gorilla glass 3 protection powered by a powerful octa-core MediaTek Helio X10 processor (2GHz quad-core Cortex-A53 + 2GHz quad-core Cortex-A53) with 2GB RAM, 16GB ROM but No MicroSD card slot run on Android 5.0 Lollipo OS along with MIUI 7 on top sporting a powerful 13-MP rear camera with f/2.2 aperture and dual-LED flash and Samsung sensors perfect for low light shooting and 5-MP rear camera for video calling and selfies will powered by a powerful 30,60mAh battery with sophisticated power management technology promising Stand by time up to 144 hours on 3G and Talk Time up tp 11.30 hours on 3G offers you the longest battery life ever measures 152x76x8.25mm and weight just 160gm. At last I would like to say that Xiaomi Redmi Note 3 is coming to win the hearts of smartphone lovers. What you think? Please be open to give your view. and stay tuned for more updates.